This day is for special religious observance. This day was sacred to Jupiter. The Carmentalia celebrations continued this day in honor of the goddess Carmenta. She was otherwise known as Metis, the Titaness of Wisdom. She is also called Car, Carya, or Car the Wise. Carmenta was the mother of Evander. On this day in 27 BCE, Octavian (Augustus) was declared proconsul for 10 years. In Austria, the final Witchcraft laws were repealed in 1787. This month is sacred to Janus, the god of Beginnings. Janus is the porter of heaven and considered the guardian deity of gates and doors. He is often shown as two-headed since doors face both ways. Full Moon in Cancer, opposite Sun in Capricorn. This opposition embodies the classic tensions between disciplined intellect and wealth of feeling; perseverance in pursuit of professional goals and the inner nurturing energy of domesticity; the mature male and the youthful female, symbolized by, among other things, Father Time and the New Year Baby. As the Moon is the ruler of Cancer, it is not surprising that this time of the year emphasizes the nurturing powers of the feminine, family activities shared within the home, and a time of introspection following the feasting season of early winter. Note, however, that the sexual politics of the Cancer Full Moon are somewhat complicated this time around, as Venus in Capricorn is conjunct the Sun, and opposite the Moon. The sacred feminine is likely to be reserved, and demanding. In some Native American calendars, the Month of the Snow Goose begins on this day. In the Celtic/Druidic and Wiccan calendars, this January Full Moon is Wolf Moon, so called because this is the snowy time when prey is scarce, the howl of hunger is heard and those who must cross the forest had best go armed and in company. Also called Ice Moon, Cold Moon and “Little Winter,” coming just before “Great Winter”, when the latest potential of all things begins to stir toward birth in the Spring. This is the time to set the new ideas into motion, the new things to work, and prepare for birth. This Full Moon is one of the five great annual festivals in the Chinese Taoist calendar: Wang Mu, or the Empress Mother through whom the Tao of Creation and Destruction manifests on Earth. 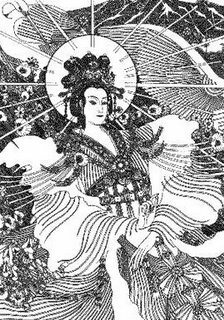 As Wang Mu is honored at the year's strongest moment of Yin, or feminine energy, she is also identified as the Shen, or Deity of the Earth element, North, Winter and the color White. In Scandinavian countries, this is the traditional day for taking down the Yule decorations. In Norway, the greeting Glaedelig jul is used up to and on this day. Swedes celebrate with a dance and then dismantle the Christmas tree, which is usually chopped up and burnt. Sometimes known as the Twentieth Day (after Christmas), some authorities believe the name Knut comes from the Laws of Canute the Great, written between 1017 and 1035, who decreed that there should be no fasting between Christmas and the Epiphany Octave.